England, 1016. Godwine, a Saxon and son of an erstwhile thegn of Sussex, meets Jarl Ulf, who is lost in the woods after a battle against Edmund Ironside. The Danish nobleman rewards young Godwine for leading him back to his men by taking him under his wing and introducing him to Canute the Great—who is shortly to become King of England. 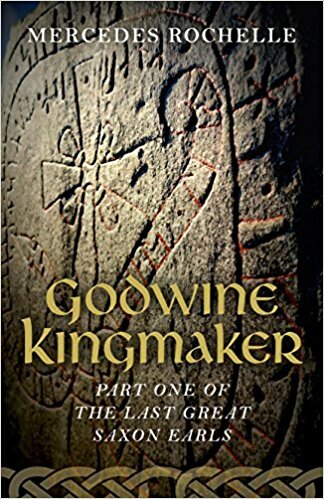 Thus begins the making of Earl Godwine, who is loyal to the succession of Danish rulers during the tumultuous 11th century when the Danes, Saxons, and Normans were fighting over the rule of England. Canute was a fair and popular ruler who brought peace to England, and Godwine flourished under his rule, becoming a great favorite and rewarded as such. After Canute, however, Godwine’s influence fell and he struggled to hold onto his position as England’s most prominent Earl through three more rulers. The book serves as an excellent introduction to pre-Conquest England, and neatly recounts the events leading up to 1066. It may seem a hefty read for some, but with perfect flow and plenty of action, it makes an engrossing read. 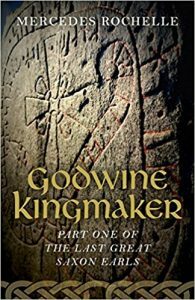 Godwine is an easily likeable character who lead a remarkable life. Although there is not much known about his father, the author has created a feasible background and worked it into the narrative. The lives of his children, on the other hand, were well-documented, as four would becomes Earls and two would sit on the throne of England. The story continues with the author’s next book, The Sons of Godwine, which is available now. Having read two of the author’s books, I can safely recommend her writing as both historically accurate and a pleasure to read!